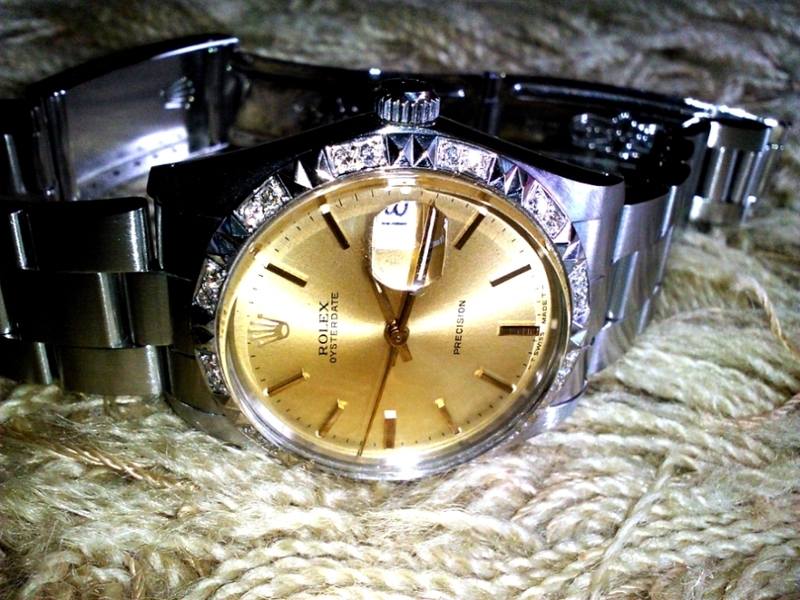 This is a mechanical (hand-winding) Rolex vintage produced in the mid 80s. 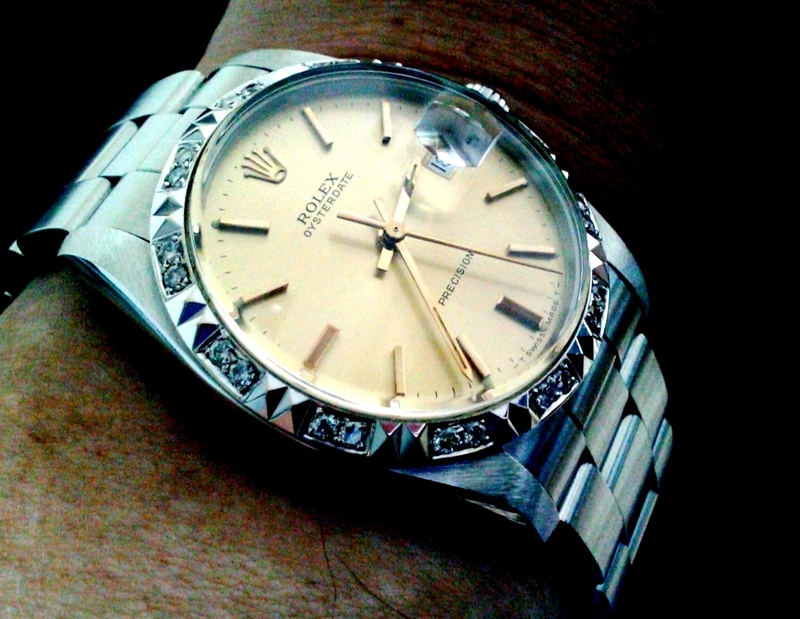 The dial is of Champaign gold colour with a date window (Oyster Date). The additional add-on is the special white gold bezel embedded with high-grade diamonds set. 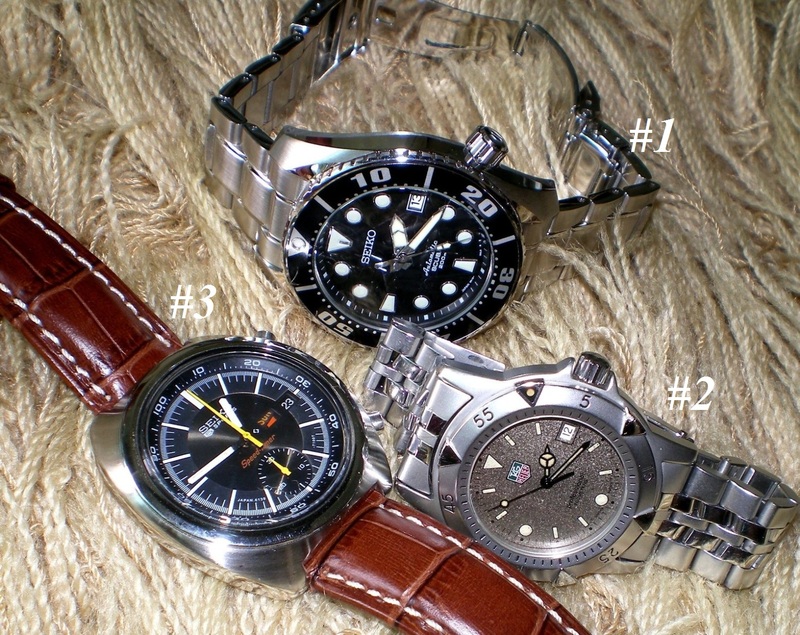 Shown below are some robust sport watches made by Seiko and Tag Heuer. 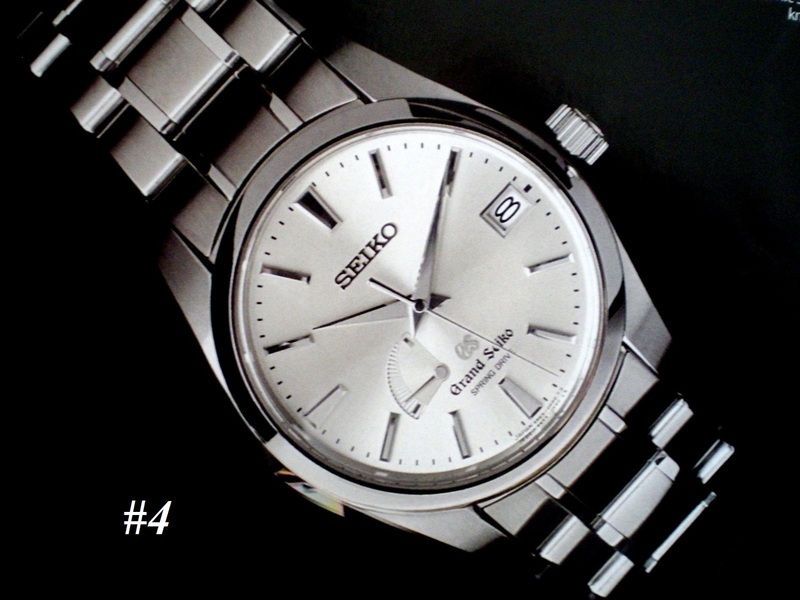 Seiko “Sumo” comes with a mechanical movement, it keeps excellent time and is very sturdy. The fit and finish is extremely high standard and the quality is close to the more expensive Marine Master. The generously-sized case is handsomely sculpted and features subtle contrasts between brushed and polished surfaces which adds to its appeal and is reminiscent of the Marine Master. This is an Italian made wrist watch with GMT (duo time zone) mechanical (automatic) movement. Brand signature is Valentinian. Only a total of 100 limited pieces were produced in 2006. Some of the limited/special edition watches… been introduced by Seiko.